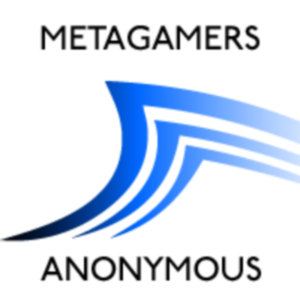 In our final episode of the year, the cast of Metagamers Anonymous examines their first year as podcasters, talks about some of their favorite gaming experiences of 2012, reads and discusses some listener feedback, and ponders their goals for the year ahead! We also talk holidays in immersive play and even hand out a few Christmas presents live on the air! Metagamers Anonymous is a weekly podcast dedicated to tabletop roleplaying games and (mostly) related material. Feel free to post any comments or questions to our forum, or drop us a line atfeedback@prismatictsunami.com. Post a contest entry on our Facebook page!